No, we can’t. Nor do we want to. After all, for us, something is only good enough when we’ve made it even better. Why? Because we are enthusiasts. Because we enjoy accelerating from a standing start-and creating moments full of exhilaration from everyday life. What does this have to do with cars? Nothing. But it has everything to do with sports cars. You cannot build a sports car without enthusiasm. Nor can you drive one. What we want to do more than anything else is drive. With plenty of passion. A vehicle that handles the daily commute as supremely as it does the Corkscrew at Laguna Seca, and one that enjoys the short sprint as much as the long distance. 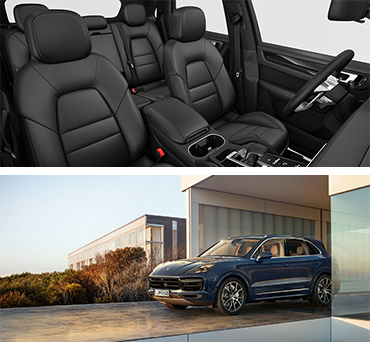 One that is designed for the whole family-and yet for us alone. 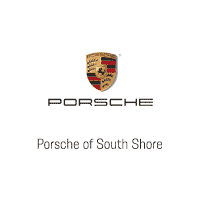 And one that is one thing above all else: a Porsche. 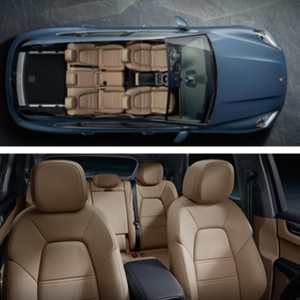 Dynamic performance, five doors, variability, comfort. 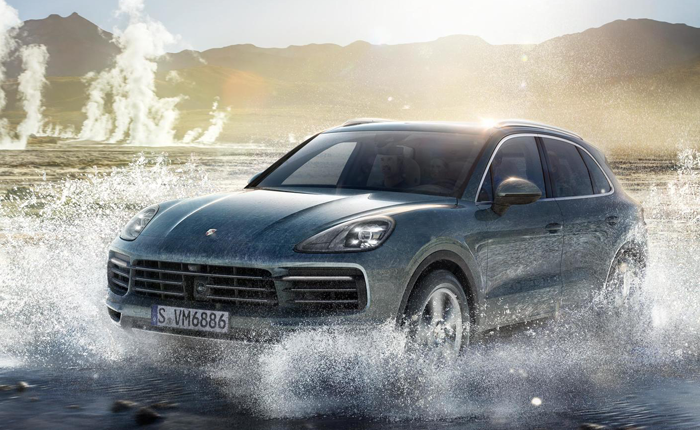 The Cayenne SUV continues on its path of success. With a new design, new driver-assistance systems, new drive components, and a higher output, yet comparatively low fuel consumption. 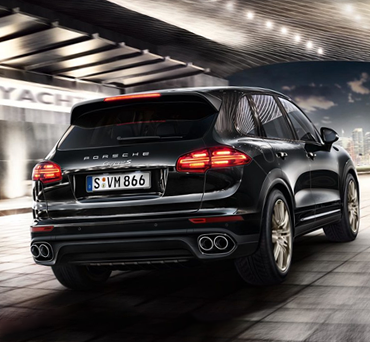 Having reinvented itself, the Cayenne continues to forge ahead. Straight into the future. Thanks to a particularly wide ratio spread, the 8-speed Tiptronic S lowers fuel consumption and increases comfort and dynamic agility. The low engine speeds in the higher gears reduce the noise level inside the vehicle. 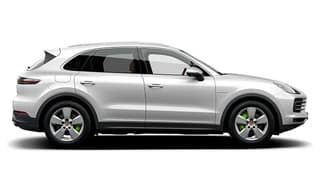 The 8-speed Tiptronic S shifts gear automatically and adapts to your individual driving style. New features include the extended Auto Start Stop function. This cuts the engine not only when the vehicle stops, but also if you are approaching traffic lights, for example. PTM comprises an active all-wheel drive system with an electronically variable, map-controlled multi-plate clutch, Automatic Brake Differential (ABD), and Anti-Slip Regulation (ASR). The electronically controlled multi-plate clutch helps to ensure optimum distribution of force between the permanently driven rear-axle and the front-axle. The driving conditions are continuously monitored to enable the system to respond to a variety of situations. During cornering, the required level of engine torque is distributed to the front wheels to provide excellent lateral stability. The result: perfect distribution of drive torque at all times. 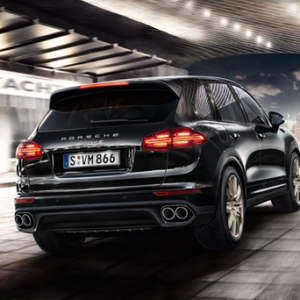 PTM on the Cayenne S E-Hybrid features a permanent all-wheel drive system with self-locking center differential. This provides a standard torque split of 60 percent to the rear and 40 percent to the front. If one of the wheels is about to lose grip, the self-locking center differential transmits the torque to the axle, offering the highest level of traction. 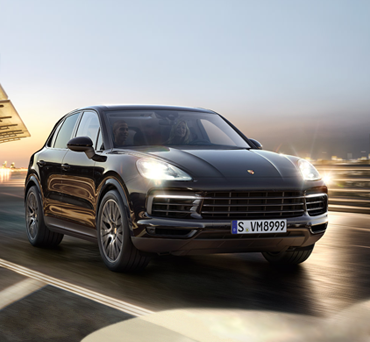 Variable distribution of engine torque to the rear wheels also enhances steering precision and driving dynamics. The world is turning faster and faster. It’s good if you can keep up. And even better, if you can stay one step ahead. Our solution: e-mobility. An overall concept that combines a pioneering drive system, practical charging options,intelligent mobile online services, and efficient performance. 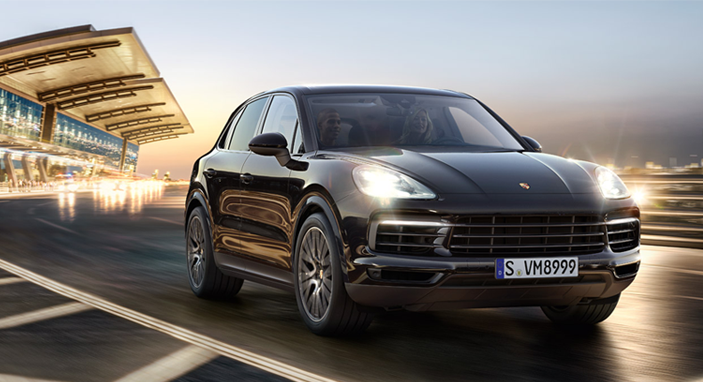 E-Mobility Services are part of Porsche Car Connect (PCC). 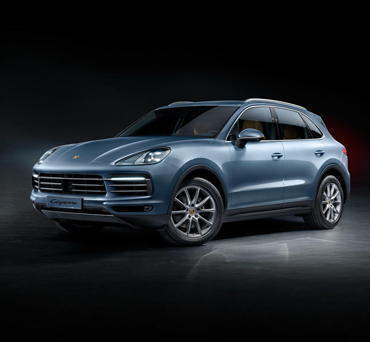 They enable you to call up all the important information about your Cayenne S E-Hybrid remotely via a smartphone app. Using Remote Services, you can browse statistical data on your vehicle such as the distance driven, average speed, or fuel consumption on the last trip. In addition, you can view information on the remaining charging time, battery charge status, or a visual depiction of the electric range. 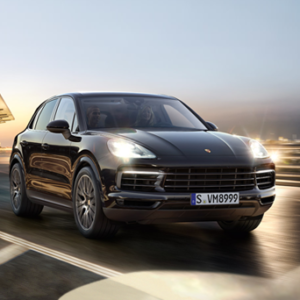 You can also set the charge timer with customizable charging times, while Carfinder shows you the shortest route back to your Porsche from your current location. 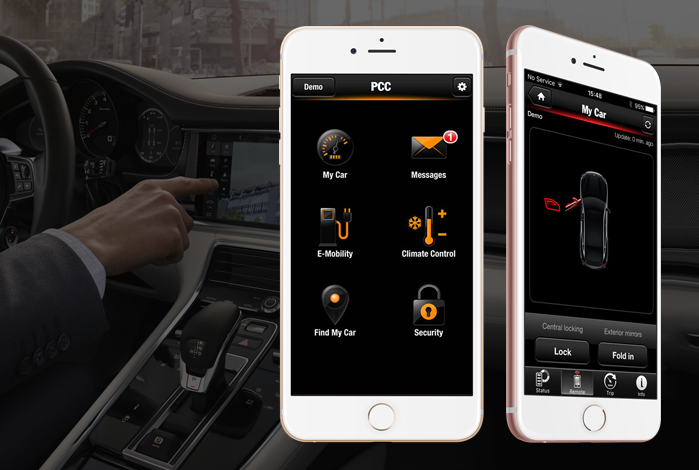 Another particularly useful function: Porsche Car Connect (PCC) allows you to check the status of your alarm system or make a breakdown call at any time from virtually any location. 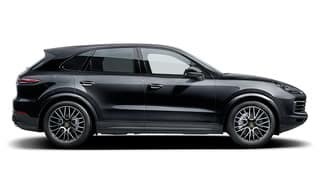 Using a compatible smartphone, you can control the charging process, along with other functions, such as the optional auxiliary climate control, which allows you to heat or cool the interior in advance of any Journey. 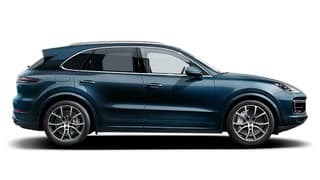 The prowess of the Cayenne SUV is clearly reflected in the design: the front and rear sections have been completely revised. They are now sharper and even more sophisticated. The new hood, new front quarter panel, new headlights, and modified air intakes lend the car even greater presence. It is more athletic, and muscular than ever before. 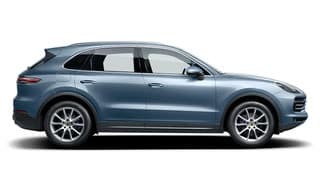 The new exterior mirrors with integrated indicators and wheels in a range of sizes up to 21 inches, with new attractive styling, serve to emphasize the car’s dynamics. 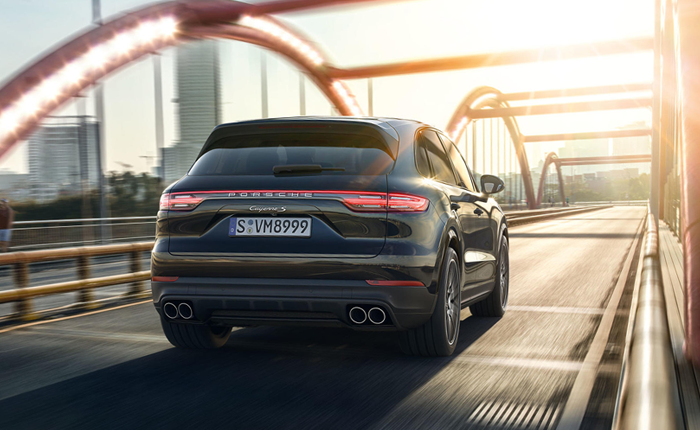 An impression that is confirmed by a number of other new details, including daytime running lights featuring four LED spotlights fitted as standard, as well as new LED taillights and integrated tailpipes. 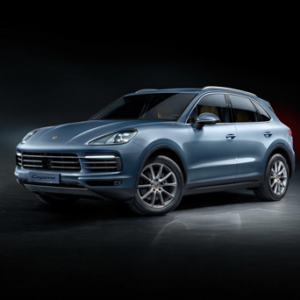 When you take the wheel of a Porsche, you are not Must a driver. You are part of something bigger. Part of an overall concept. An idea. One that has its roots in auto racing. This is where we learned how important it is to bring the car and driver together as closely as possible. That’s why the interior of the Cayenne SUV is virtually built around you. Everything you need is within easy reach. 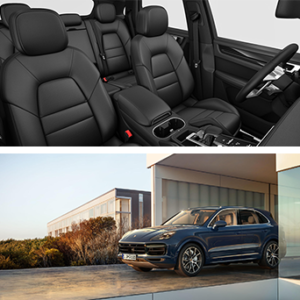 Practical and exclusively designed to suit your needs. A typical sports car feature, the rising center console reduces the distance between the steering wheel and the most important vehicle controls. The new multifunction sports steering wheel also speaks the language of motorsports. 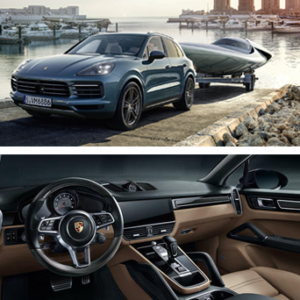 Derived from the 918 Spyder, it is a harmonious blend of high-level ergonomics and pioneering styling. 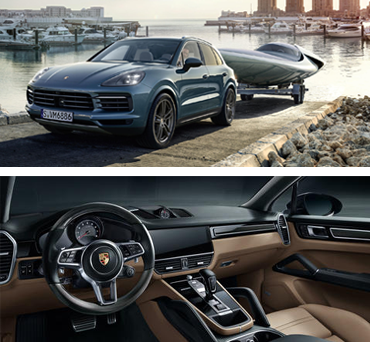 However, the Cayenne concept goes beyond pure sports performance. 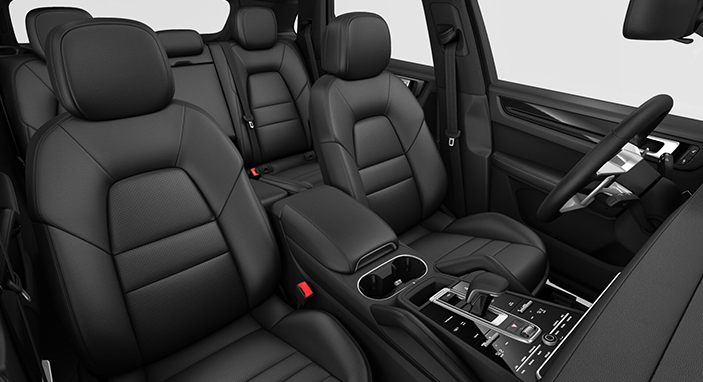 It also offers comfort, variability, and style.Every individual detail serves to enhance the overall impression. This is our proven design concept. A big dream must be fought for. And so, does a bold vision. We appreciate your interest in our inventory, and apologize we do not have model details displaying on the website at this time. Please fill the form out below and our team will quickly respond, or, please call us at 516-784-4725 for more information.